Home \ TOP GEAR \ So, you like to draw? If you were the kind of student you enjoyed doodling automobiles in study hall, this is the book for you. 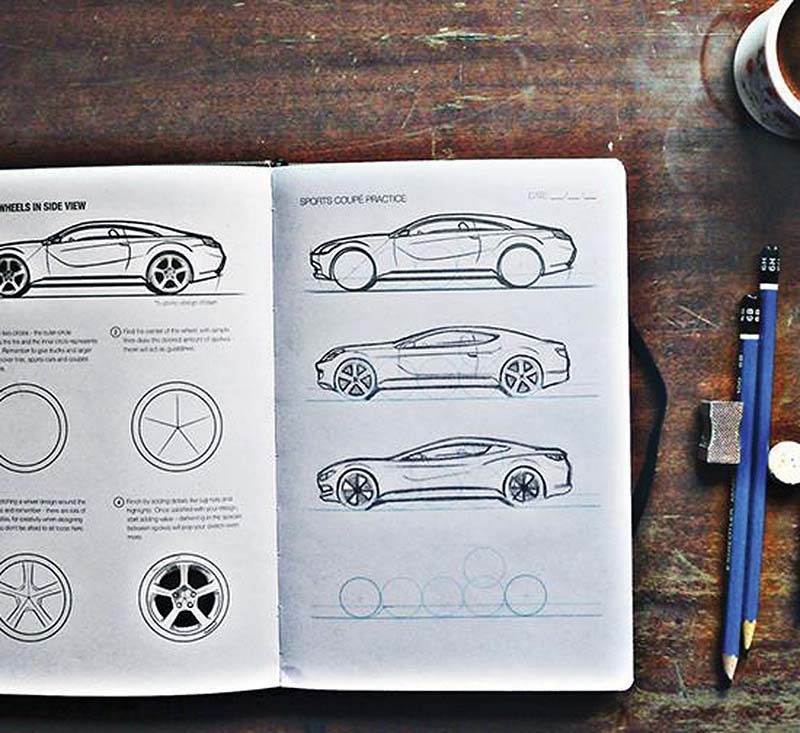 “I DRAW CARS” sketchbook and reference guide contains all of the instructional elements necessary to properly sketch just about any conveyance imaginable. A major portion of this tome includes more than 100 pages devoted to templates while other reference materials help you practice the necessary form and proportion skills. You also get a rundown of various automotive brands, a compendium of design schools for serious instruction and even a list of worldwide auto shows and dates. I DRAW CARS sells for $25 and is available from www.idraw.co (not .com).